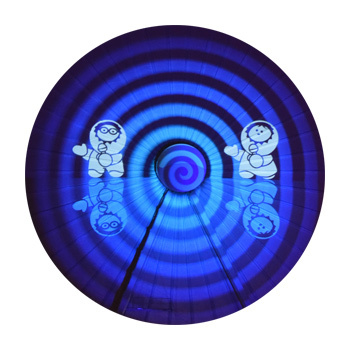 Over 40 light installations create a magical atmosphere. 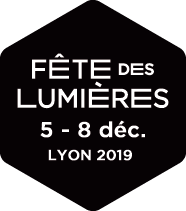 Don’t miss the 2019 Lyon Festival of Lights taking place from Thursday, December 5 to Sunday, December 8. Watch this space! Take a walk downtown... welcome in Lyon ! Get ready for a fantastic Festival of Lights! Enjoy the smartphone application: information, program, routes, interactive map. 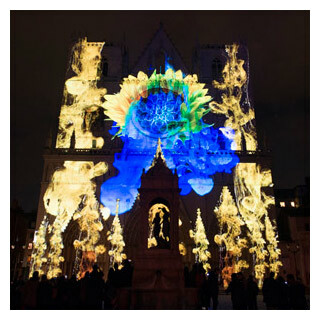 Another way to enjoy the @FeteLumieres (Festival Of Lights) thanks to @guardian’s photographer @aliciacanter who visited #Lyon twice to produce this remarkable Before/After display. The Basilica of Notre-Dame de Fourviere and buildings are illuminated during the 20th edition of the Festival of Lights (Fete des Lumieres), in Lyon.